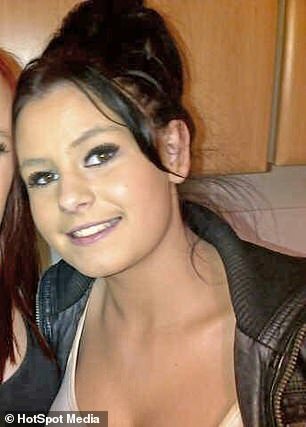 A mother-of-two has revealed how she tricked her grandfather into admitting he had abused her, but was shunned by her family when he was jailed. 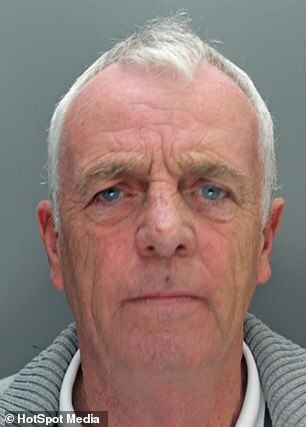 Jade Edwards was 13 years old when her Joseph Edwards, now 69, began sexually assaulting her at his home in Liverpool while his wife was asleep. 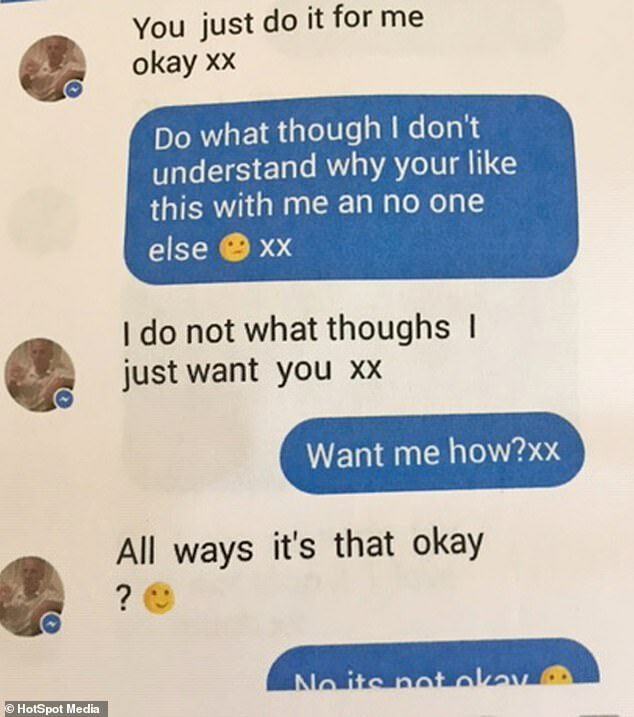 Seven years later, Ms Edwards, now 23, tricked him into admitting the abuse in Facebook messages and in October 2018, he was found guilty of sexual offences and jailed for 15 months. But Ms Edwards has since been disowned by family members who refuse to believe her account. Ms Edwards, from Liverpool, has waived her anonymity to speak out about the sickening abuse she received at the hands of her grandfather. In June 2009, when Jade was 13, she was watching TV with Joseph at his house when he groped her bottom. She said: 'Grandma was asleep upstairs, so we were left alone in the living room. Nine months later, Joseph took Jade on a car trip to Southport beach after school. But when they arrived, he parked on a quiet road and turned off the engine. He then slid his hands up her thighs, and groped her. She added: 'Grandad then stuck his tongue in my mouth, and I felt like I was going to be sick. Afterwards, Joseph warned Jade not to tell her grandmother or her parents. The following day, Joseph called Jade and told her he was parked around the corner from her aunt's home. 'I nervously walked over to his car, and saw him smiling. He asked if I was hungry and if I wanted to get a pizza,' she said. 'I looked back at the house, wanting to run away, but I felt so trapped. I got in, and he drove us to the beach again. '40 minutes later we arrived and he bought us a large pepperoni pizza to eat in the car. For a moment, it felt like everything was normal. The abuse continued but Jade was too traumatised or scared to report her grandfather. She said: 'We ate so much pizza during those car trips to the beach, that I ended up putting on three stone in a year. 'He began telling me he was in love with me, it was horrible. When I reached 16, I had had enough. In July 2012, 17-year-old Jade decided she could no longer hide the secret but feared she had no evidence to rely on. 'I decided to get proof myself. I messaged Grandad on Facebook and asked him "why did you do this to me?" 'He replied, "You just do it for me, I just want you in all ways if that's okay?" 'I messaged again asking why, and he replied, "I am so sorry I cannot stop it, I love you so much, sorry for loving you so much you are just so good looking". In November 2016, she plucked up the courage to go to the police station and report Joseph. 'I told them everything Grandad had done to me, and I showed them all the Facebook messages. 'He was arrested the next day, and the messages were used as evidence. Sickeningly, Grandad called me a liar and denied all charges against him. In October 2018, Edwards, from Bootle in Merseyside, was found guilty of six counts of sexual activity with a child at Liverpool Crown Court and jailed for 15 months. Jade says: 'It didn't feel like long enough, but I was relieved he was behind bars. 'Every day I wish I was abused by a stranger, not my grandad. I've been trying to move on with my life by being a mum to my two kids.